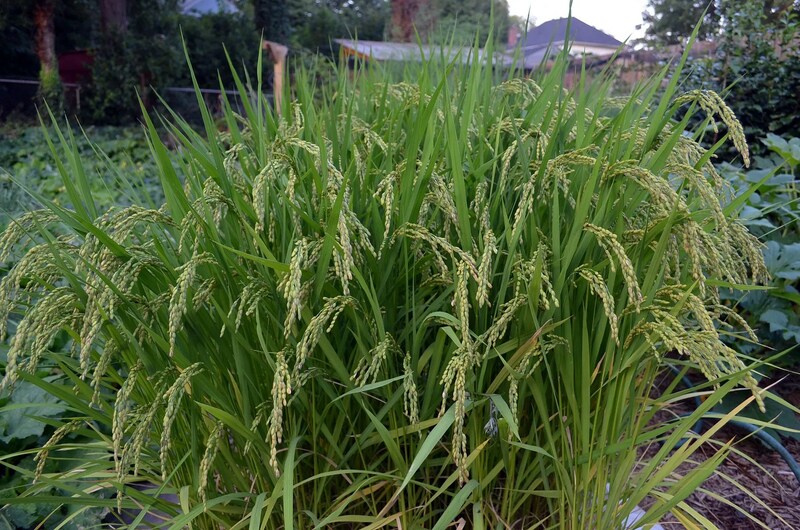 Garden homeschooling via "Ready, Fire, Aim"
The grain on the stand of rice in the main paddy is gaining in mass and beginning to flop/lean over as a result. 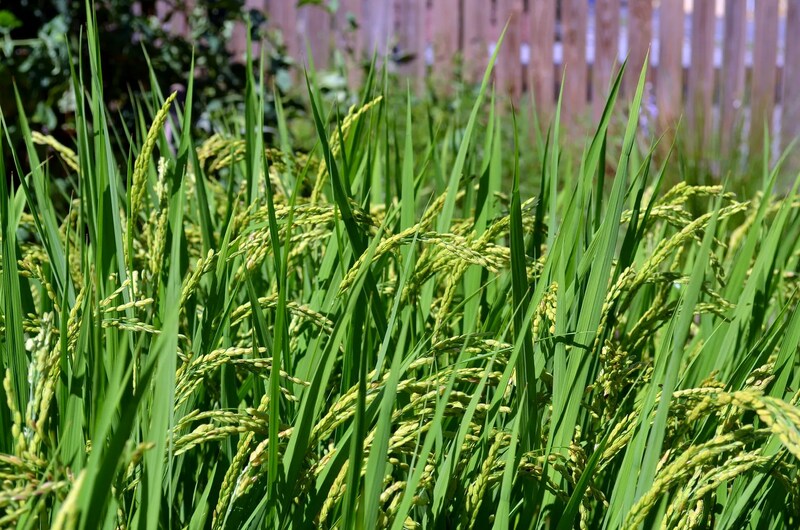 Due to my overly ambitious (lack of ) spacing between beds and paddies and such, I will have to put up a temporary retention rope around the rice to keep it more upright. I had to do this with the asparagus bed last year and it was pretty simple to get in place. This is all so fascinating to me! 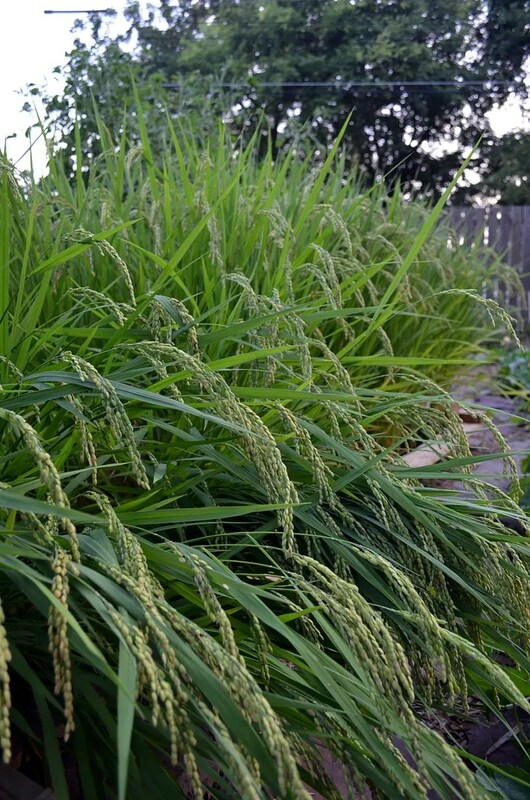 Do you feel the rice is worth the space to grow it? Is this a project you took on for interest & experimentation? I’m just curious to know what the end result will be. In the meantime, I’m definitely intrigued & happy for the chance to see your project via your blog! Thanks for that. Thanks for the kind words and encouragement.. It started as an experiment, just to see what it was like and if i could pull it off on a micro smallish scale. Next year there may be more or there may be none, who knows. Do you want to know when I post something new?